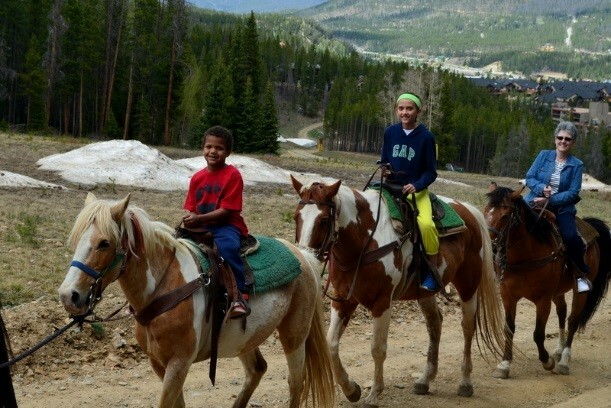 The first and most closest option is Breckenridge Stables. They are located right on Peak 9, which is just a short 10-minute drive from Main Street. They will accept rides of all ages and typically have last minute availability. The 90-minute ride will take you right up to the ski area and cover some fun facts about Breckenridge . This is a walking ride only, which means the horses stay close together and there is little to no deviation from the trail. This is a great option for beginners and families. The second option is Platte Ranch, out of Fairplay. This provides magnificent views of seven different mountain ranges from your horse’s back. On this ride, you have a variety of paths to choose from and are not in single file line, so you can have a fun time riding right alongside your friend or family member. The guide will take you up to a large open area and you have the option of testing out your cowboy skills and letting your horse run. This is certainly the most exhilarating part of the ride and really makes you feel like you are part of the ranch! 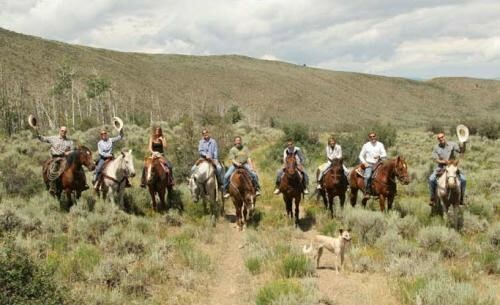 The third option we provide our guests is a four-hour cattle drive at the Rusty Spurr Ranch. This is the most physically demanding ride of the three, as you are on the horse for a long period of time. They will accept riders of all ability levels, from beginners to advanced. This is truly a western tradition and being a part of it is a memorable experience. One of the best parts is that there’s a homemade meal waiting for you upon your return! Whatever option you choose, it’s sure to be a wonderful time. Horses are beautiful, gentle, kind animals that really enjoy giving people a ride around the countryside. 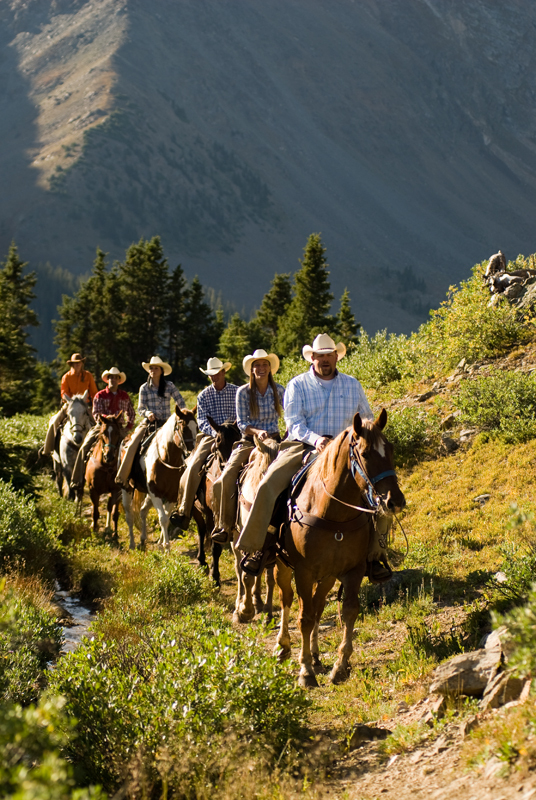 So, if you are up for a western adventure on your next trip to Summit County, be sure to get in touch with one of our Activity departments today to book this trip for you!